Copy kindly supplied by HarperCollins UK in return for an honest review. In Part 1 of this book Jodie has lost everything that ever mattered to her, her daughter, her will to go on, and her love for her husband. Now she plans to break free from it all, she’s loaded a gun and plans to shoot her husband Ethan and then herself. To the casual observer, Ethan is a suave, sophisticated lawyer, but to those that know him like Jodie, he‘s a clever tyrant, a cruel manipulator and will stop at nothing to get what he wants. So when Jodie asks for a divorce and tells him she wants to leave, Ethan tortures Jodie with the ultimate punishment, he takes her daughter away from her by murder. Part 2 opens with Jodie in prison, her murder/suicide plan failed, she‘s still alive, but Ethan is dead, and her daughter is still dead. Struggling to cope without her daughter, Jodie makes plans to end her sufferance, but fate has other plans, suicide watch and caring cellmates thwart her plans all too often. Then along comes Novak,a reporter, he hounds her for an interview and finally she gives in. The information that he has for her shakes her to her very core, did she really know so little about her husband?! As always, I don’t want to say much more about the plot and risk ruining anything for readers, but suffice to say, this book will have you turning pages so fast you’ll think it was an exercise in speed reading! Jodie begins as quite a “wishy washy” character, understandable when you consider the trauma she has gone through, the abuse she has suffered at the hands of her husband, and the fact that her life before him was all about searching for where she came from. She turns into a strong willed, feisty heroine determined to right the wrongs of her situation, a character you feel compelled to cheer on, and hope there’s a happy ending for. There are themes in this book that some readers might find a little distressing to read, historic abuse of children is a key theme in the plot of this book and it is handled well. Each character that encountered it tells their story from their own pained experiences, but doing so in a way that makes you understand why they became who they are. This is a well written thriller, the pace was slow at times but when it picked up it really just took off, the physical descriptions of characters and settings were excellent, it was very easy to imagine the haunted look to Jodie from Part 2 onwards in the book, the blizzard settings and the opulent hotel detailed in the book. Plenty of twists and turns ensure you will struggle to put this book down, some are predictable, but I’m happy to say that the ending is not something you want to guess ahead, it’s almost impossible to have guessed that’s where McCarthy would take it, but they way it’s written is fantastic, I didn’t see it coming and I’m certain most people wouldn’t. 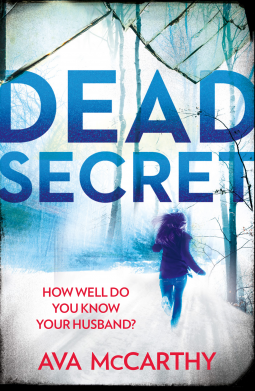 I’d be more than happy to recommend this book to fans of thriller, mystery, suspense genres, but would remind them that if they are likely to be disturbed by the abuse element then this book might not be for them. Copy kindly supplied by Little, Brown Book Group UK in return for an honest review. On the face of it, Dr Diana Jager has it all, she’s a successful surgeon, she’s strong, she’s driven and she’s not afraid to stand up against sexism. So when “Scalpelgirl” writes a blog about the indiscretions in the workplace, the seemingly innocent questions at interviews, the double standards expected of the male and female doctors the medical world is ablaze with gossip. There’s just enough information there to work out who “Scalpelgirl” is for some people, and she’s nicknamed “Bladebitch” for her scathing ferocity towards gender imbalance and seeming hatred of men. Once the details of her blog are hacked, her identity is made public on the internet as payback and her life falls apart. Those she has written about have their lives thrown in to turmoil and the fall out isn’t pretty, Diana moves away from it all, takes a job in Inverness and embarks on a second chance. It’s in Inverness that Diana meets Peter. He is the helpful IT guy that comes to solve her computer problem, and right away Diana is aware of something about him that’s different to other men. Within six months of a whirlwind romance there are wedding bells for the pair, six more see the tolling of funeral bells for Peter. Enter Jack Parlabane, a disgraced investigative journalist licking his wounds after the Leveson inquiry and on the brink of divorce. When Peter’s sister Lucy engages his services to find out the story behind her brother’s disappearance and his mysterious wife, Parlabane has no idea what he‘s getting involved with, but has nothing better to do, and the opportunity for a scoop is too hard to pass up. Armed with the list of contacts and vital information from Lucy, Parlabane heads out seeking answers. Narrated by Diana and Parlabane, we weave between past and present cleverly. Diana mainly recounting the tale of the blog and how it all went wrong, to meeting Peter and getting a second chance for her “happy ever after” and the events leading up to that fateful night. Parlabane, investigates Peter and Diana as a couple, Diana at university, and Peter before his marriage to Diana, and reminisces back upon his own marriage before making connections that he feels should be tipped off to the Police that could really bring Peter’s death from the realms of freak accident to murder. The characters in general were good, Diana Jager was a hard character to like in the beginning, obviously once I’d read a little of the story and got to know her a bit more, began to like her, reading about her past and budding romance with Peter made me see this character in a different light. But the more I read on the more I continued to change my mind about her. The two Police Constables that featured in the book were characters I wasn’t most keen on. There was just something about them that wasn’t “right”, I can’t really explain it, other than say it felt a little like they were just used to break up the Diana/Peter/Parlabane story. Granted, the narrative for the two Cconstables was a little like a pause to catch breath with this thriller, it was an infuriating pause, I needed to know what was happening with Parlabane/Diana so wanted to read these as quickly as possible. Don’t misunderstand that as we not liking the characters or bits of the book, it just felt like a sneaky way of Brookmyre throwing in a hurdle to make me work harder to getting to the conclusion. And what a conclusion it was!! The light bulb moment of this book is well worth the twists, turns and psychological thrill, as many guesses that I made about what might have happened, or what would end up happening, I am so glad my mind isn’t that twisted! Although this was a continuation of the Jack Parlabane series of books, this can easily be read as a standalone book. Indeed I read and enjoyed this without having read others for quite some time. There’s enough detail given about Parlabane to know roughly what’s happened in the past without revisiting anything from previous books, and all the while staying completely in the current story. Having not read Brookmyre’s books for some years, I’m happy to say I will be visiting them based on this book. 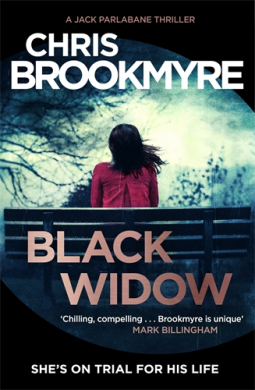 This was a fantastic read, Brookmyre shows good skill, the narrative was fast paced and the excellent plotting made this a treat to read. Copy kindly supplied by Headline in return for an honest review. Forensics reveal the women were murdered and a net of suspicion tightens around Axel, who is convinced his twin brother Brede is responsible. But no one has seen him for years and if Axel is to prove his innocence, he needs to find Brede. And fast. But there isn’t a single photograph of the brothers together and neither Axel’s wife nor his children has ever met a man called Brede .. The premise of this book intrigued me, GP Axel Glenne is implicated as a suspect in the disappearance and subsequent murder of a woman because of some link. Axel is convinced it’s the doing of his long lost twin brother Brede, a man that no one knows about, no one has met and there is no proof that Brede even exists. Is it Brede? Does Brede exist? Is it Axel acting subconsciously? Axel Glenne on the face of things is a happily married GP, beautiful wife, 3 interesting children, and seems dedicated to his job, but all of that is about to be rocked to the very core. When the body of a woman is discovered the Police are immediately convinced she was attacked by a bear and this is not a case for the Violent Crime team, but as the investigation unfolds, it soon becomes clear this is no act of nature and was murder. When another body turns up with the scratches as before they begin to question whether a bear could have done this, and wonder what else might have caused it. One name seems to stand out between the victims, that of local GP Axel Glenne. He knew the victims, he’s had recent contact with them, but just how deep is the link? This was a compelling read, the plot moves along well and very briskly towards the end as you would expect, the writing gives a great sense of atmosphere and intensity. You feel drawn to read on, find out whether it is Brede carrying out these murders, whether it’s someone else, what Axel’s link to it all is. Interestingly, the narration is broken up with passages of the murderer speaking to the final victim, or more what they intend to say to the victim (both physically as well as what has been recorded via Dictaphone). This adds an even more sinister edge to the story, the killer making sure the victim knows why this is being done and what their fate will be. This was very well written as far as I am concerned, Damhaug shows great skill with building intensity and layering the suspense. I particularly enjoyed the story telling moments Axel shared with his young daughter, it’s always good to learn something from a book, so finding out about the stories of Cassiopeia and Medusa etc was an added bonus. The characters on the whole were good, the bumbling Police were well written, showing that you can write a novel involving a police investigation without making them the heroes of the day. This was a refreshing change, seeing that the officers involved in the case were so blinkered in their investigation that it led to the wrong conclusions entirely. That said, however, the individual characters from the Police did seem a little hollow, there was no real substance to them which was a little disappointing. Axel Glenne was an interesting character, well written but he seemed to act a little “out of character” at the end, but whether this was the intention of the author, showing that Axel was reacting to the stimulus around him, or whether the character was evolving into something more, I cannot decide. Sadly, the angle of the reappearing twin brother seemed to taper away. Once the killer was identified it was clear that there would be little to no more mention to Brede Glenne, unless as a moment of reminiscence by Axel. This was a shame as I really would have liked to see some part played by this mysterious phantom figure, the detail given about his character added to the suspense and intrigue earlier in the story, so for him to just drop out of things felt a little dissatisfying. I would definitely look out for the following books from this author, I would be intrigued to see what Torkil Damhaug does next, the writing is solid and enjoyable to read, just not 100% ticking all the boxes for me at the moment. Georgia is a divorced single mum trying to keep life going on as normal as possible for daughter Spencer. Spencer has needs that require careful consideration and time, for her things have to be a certain way for her to cope and Georgia is damned if she’ll let anything get in the way of her little girl’s happiness, so if that means she’s late for work because she has to put her daughter first then she will. When Georgia loses her job she desperately tries to think of something that will keep her busy whilst Spencer is at school. 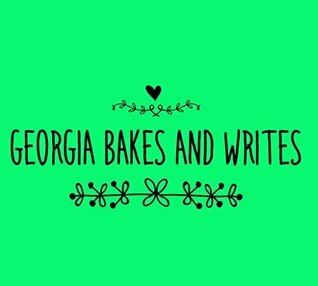 A plan is made, a blog is started and things take off for Georgia. Without ruining the story (or ending!) for anyone, I won’t say much more about the plot, other than to say I absolutely loved it. It felt so real to life, the misunderstanding, the confusion, the hurt feelings, the blunt honesty are all things we deal with and seeing Georgia soldier through them was heartwarming. For a debut novella this was impressive writing, the characters were interesting, engaging and real, we all have that friend like Iris that brings a bottle of wine over, reminds us that idiots are always idiots but buoy us up and help us to move forwards. Having not had any experience of children with any special or additional needs this was an interesting read, just a glimpse into the life that Georgia had with Spencer made me realise just how hard it must be on a parent caring for a child with autism, but how rewarding it can be when they can achieve something like Spencer did in the story. I really hope that some of the delicious recipes surface, my mouth was watering at the thought of some of them! And I can’t wait to try making my banana bread with some yoghurt to see the difference it will make! Despite being a short read, this was wonderfully enjoyable. It held my attention all the way to the end, and it had an ending that brought a happy sigh and a smile. It’s the sort of read you could happily curl up with on the sofa (or other chosen reading place) with a cuppa (or hot chocolate) and just relax. The pace was good, things moved along well, narrative didn’t drag, plot was interesting and engaging, and as I’ve mentioned, I adored the characters (especially Spencer’s blunt honesty! ), in all it was an enjoyable, heart warming read and I would definitely recommend it! I would have no hesitation to recommend this to anyone that enjoys Romance, YA, Fiction or a short and sweet read. Copy kindly supplied by Severn House Publishers in return for an honest review. Ex-cop Quint Dalrymple discovers there is something very rotten in the independent city-state of Edinburgh in this near-future dystopian thriller. Edinburgh, spring 2034. The weather’s balmy, there’s a referendum on whether to join a reconstituted Scotland coming up – and a tourist is found strangled. As usual, maverick detective Quint Dalrymple is called in to do the Council of City Guardians’ dirty work. In 2034 the independent city-state of Edinburgh is still as apocalyptic as it was when I first encountered Quint Dalrymple in The Body Politic back in the 2020s. The City Guardians have relaxed the regime somewhat, pardoned various miscreants and allow the citizens more freedoms than were ever offered in the previous years, but some things haven’t changed. The City is still a hotspot for tourists who still take priority over the ordinary Citizens. Conditions for the Citizens haven’t really improved greatly and Quint Dalrymple is still sceptical about the Guardians and distrusts most people in power. When a precious tourist is found strangled in Citizen accommodation Dalrymple is brought in to investigate and track down the missing Citizen lives there. It’s made quite clear to him that he must find the missing woman and not abuse the power that the Council of Guardians are bestowing upon him. Whilst Dalrymple is working on this case there is an uprising brewing, a referendum is imminent, the Council of Guardians want the city-state to join the reconstituted Scotland and voting has been made mandatory. They expect all Citizens to vote yes, but not all of them want to, some are willing to fight for what they believe would be a better leadership and quality of life. For fans of the Dalrymple series, rest assured the pairing of Quint and Davie (aka Hume 253) makes a return. The dynamic duo are as usual on good form, the satire of their exchanges makes for good reading as well as moments to chuckle out loud. Despite the passing of time, there is no real change to Quint Dalrymple, he’s still cynical, he’s still a Blues fan and he’s still harbouring a grudge against Billy Geddes and the Guardians. Johnston’s writing is as brilliant as ever, references to Classics such as Plato and Homer give away subtle hints to both the intelligence of the author as well as his studies (ancient and modern Greek at university). There is skill in writing a futuristic setting that can also incorporate “old world” attributes, the utopian Glasgow that is hinted at (which features in The Blood Tree) contrasted with the wild borders areas emphasises the richly descriptive quality of the writing. The characters are good, Dalrymple is the perfect protagonist, disillusioned with the regime, sceptical, argumentative and not afraid to speak his mind. Davie (Hume 253) as well as being a loyal Auxiliary and Guard Commander, is Quint’s best friend, shows a caring side but also can be relied on for the necessary muscle or brute force. Other interesting characters include Hector Dalrymple, an ex Guardian and Quint’s father, and Billy Geddes, a former Auxiliary who Quint regarded as colleague and friend. The pace of the book is good, the storyline is gripping and so sweeps you along with it, if you can manage to put it down between chapters I suspect you would be able to carry on without much issue at all. Despite this being a continuation of the series of books with Dalrymple, this story really could be read as a stand alone book. Granted, having read the other books in the series the city-state of Edinburgh and its Council will make more sense, but this certainly will not detract from the enjoyment. 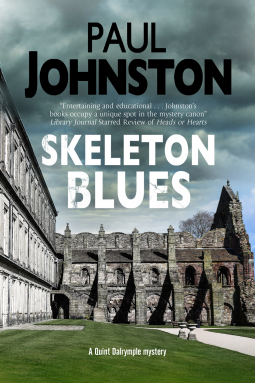 I would have no hesitation to recommend this to fans of Johnston’s previous works, especially fans of the Dalrymple series, as well as fans of Fiction and Mystery genres. But be aware, this isn’t just a typical run on the mill mystery story, this is an intelligently written, highly addictive book! Copy kindly supplied by Sourcebooks Landmark in return for an honest review. Broken Wheel, Iowa, has never seen anyone like Sara, who travelled all the way from Sweden just to meet her pen pal, Amy. When she arrives, however, she finds that Amy’s funeral has just ended. Luckily, the townspeople are happy to look after their bewildered tourist—even if they don’t understand her peculiar need for books. Marooned in a farm town that’s almost beyond repair, Sara starts a bookstore in honour of her friend’s memory. 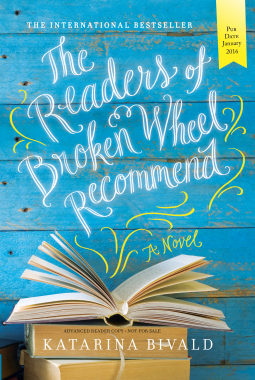 All she wants is to share the books she loves with the citizens of Broken Wheel and to convince them that reading is one of the great joys of life. But she makes some unconventional choices that could force a lot of secrets into the open and change things for everyone in town. Reminiscent of The Guernsey Literary and Potato Peel Pie Society, this is a warm, witty book about friendship, stories, and love. Pen pals Amy and Sara hatch on a plan for Sara to take a holiday to rural Iowa and they will meet up, share their love of book in person and have a wonderful time getting to know the person behind the letters. But when Sara finally arrives in Broken Wheel she is met by the townspeople attending Amy’s funeral. Amy passed away whilst Sara was travelling and no one knew how to get in touch with her to tell her not to continue her journey. The well meaning folk soon take Sara under their collective wing and look after her in the only way they know, making her feel like part of the town. Wanting to give something back to the town, Sara decides to use the books that she and Amy have to open a book store in the village, desperately trying to convince the residents that reading isn’t just for leisure, it can be for pleasure too and she’s determined to find the right book for each person that comes in. As with any small town, there is the ubiquitous town busybody, recovering alcoholic, religious figure (in this case uptight Christian woman) but they all make sense, the story works well with them and their own tales add something to the overall story of the town – not one of them could be left out. The romantic sub plot did spoil things a little for me at times, it just felt a little silly and grated on me a bit. Yes, people who are attracted to one another play silly beggars at times and revert back to juvenile type, but the whole ‘does he like her, does she like him, wait now they don’t like each other…..’ got a bit boring in places and I will admit to being tempted to skipping some narrative (I didn’t, but I was sorely tempted!). The writing is generally good, the pace of the story flows pretty well, a couple of times I did have to recheck something (usually with the back stories for the many townsfolk), but that’s more to satisfy my need of making sure I’d not missed something. The physical descriptions of location and characters are good, you get a great sense of Amy the missing character who plays such a huge part. A lovely book to read, and I do agree with other reviewers out there, this could easily make a good film one day, the quirkiness of the book would make for some excellent screen time. I would recommend this to fans of Contemporary Fiction, Romance and Women’s Fiction genres. Copy kindly supplied by HarperCollins UK, Avon in return for an honest review. Irish runaway. Insomniac. Functioning alcoholic. solve a case with no lead suspect and no evidence? first, the case or Donal? Donal Lynch has a past, he can’t let go of his ex-girlfriend, despite her being a murderer and try as he might, he can’t shake the feeling he’s being haunted by someone or something from his past..
As a PC on the beat in London, Donal is called to a crime scene that affects him more than he could imagine. A young woman has been found murdered, it’s a gory scene and the panicking witnesses make it all the more desperate and desolate. Knowing that as one of the first on the scene he will have to provide a witness statement once he’s back on duty the next day, Donal heads home to think over what he saw, the witnesses he spoke to and try to block out the scene of the body of murder victim Marion Ryan. At least that was his plan until Marion appears to him in his sleep, determined to tell him something. Brushing off Marion’s appearance as a dream brought on by too much Shiraz, he gets back on duty, but is soon called to disturbance. Donal is determined to protect this victim, doing anything he can think of to ensure her safety, he advises her to call for the Police if her threatening ex-boyfriend returns to menace her, gives her his number and mentions he lives not far away so could check in on her from time to time to make sure she’s ok. They eventually strike up a friendship, and Donal mentions about his insomnia and the feeling that he’s being haunted by Marion, feels she’s trying to tell him something, and is convinced to go see psychiatrist (who happens to be her friend). Donal is promoted to acting DC and is brought in on the investigation into Marion’s murder, keen to impress is superiors he sets about working hard, but his efforts are somewhat hampered by his older brother being a crime journalist. Fintan Lynch reporting on certain things throws into question Donal’s loyalty and integrity, but he can’t do anything about it, not until unless he has proof where the actual leak is. The appearance of Donal’s ex-girlfriend Eve further exacerbates the chaotic situation. Does he want her back in his life? Why has she come back after telling him not to wait for her? Should he just tell her to leave as his career is more important? Donal needs to focus, he needs to work out what Marion is trying to tell him, he needs to solve her case, and he wants to know what the psychiatrist might be able to tell him about his insomnia/seeing “ghosts” is all about. This is a gripping first novel, Donal Lynch is fantastic character, a tortured soul that I really liked, his dry sense of humour appealed to me, the “paranormal” element to the story worked for me. I was a little sceptical when I heard about it and wanted to see how it would be portrayed, but I was pleasantly surprised. Nally uses it as a form of “old fashioned gut instinct” and it really does add something to the story – I certainly will admit I wondered what Marion was trying to get across with her antics. The writing is good, setting this in a time of hostility in Ireland and England, the political ties make this atmospheric as well as intriguing. The characters making comments about stereotypes prevalent at the time give an authenticity to the book. 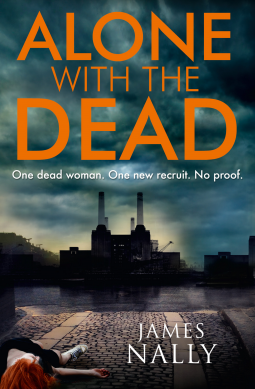 The characters are believable, incorporating many from the police procedural set – the overzealous detective, lazy constables, guns blazing superiors, and sneaky journalists but, in this book they all have a place and work so well. Many reviews I’ve seen have commented that there’s too back story or mention of Donal’s past and sleep problems, but for me these really explain certain things. They add to the story and make the back story come to life. I think it’s vital for that level of detail to make this book work and I applaud James Nally for his attention to detail and excellent writing skills. This is definitely a series I will be following, I can’t wait to see what Donal gets up to next and really look forward to reading more by this author. I would have no hesitation to recommend this to fans of Fiction, Thrillers, Suspense and Crime genres. 2004 – Claire and Sean Jackson head off to Bournemouth for Sean’s 50th birthday, they plan to throw a lavish party with a select group of Sean’s friends to celebrate, but Sean’s friends have no intention of wasting their weekend looking after their own children, there is drinking to be done and fun to be had, and the nanny leaving is an inconvenience they can well do without. But thank goodness for teenage Simone, her offers to watch the children at night are greatly appreciated and it means the adults can have their fun. Twelve years later – The death of Sean Jackson reawakens the interest in Coco’s disappearance, and for his remaining daughters it brings new questions, especially from Ruby, Coco’s twin sister. When Mila (Camilla) agrees to take her to the funeral, she doesn’t realise that Ruby will have so many questions about what happened that weekend, who was there, what happened to her twin sister, what was their dad really like being some of the more tricky to answer. As the two sisters bond over the realisations they have more in common than they first imagined, the narrative weaves back to the weekend where it all went wrong for the Jackson family. Interestingly though, the story from the time of Coco’s disappearance is told by more than one character, there is narrative by Claire, Sean, Simone and Maria – who all play a huge part in the events leading up to the disappearance as well as the aftermath. It gives a more rounded idea of what everyone was thinking around that time and how their views of events differed. There are so many things I could say about the plot of this book, there are so many twists to the story but it would give away too much for other readers and this is one book you really don’t want spoiled. The characters are well thought out, they are engaging and interesting, physical descriptions are detailed to a great level, even going so far as to describe how a teenage girl can be somehow horse like ‘clopping’ into a room. The despair that Claire felt at the disappearance of her daughter was gripping to read, creating a shrine to her lost child and her OCD tendencies really emphasised her need to control the things she could to ensure the safety of her remaining child. But also the dislike I felt towards Simone, she was a strange character and not the most likeable, for me this was a demonstration of Marwood’s skill as a writer, enough detail was given to make a decision about this character, but there were just too many little niggles about Simone for me to like her – she was “odd”. Despite the ending leaving me momentarily lost for words it was superbly written and done in such a way that it did leave my mind reeling slightly. When the conclusion of a book stays with you for a day or two afterwards you know it’s a good book and this is definitely right up there with the greats. I was a little surprised that there didn’t seem to be much made of Sean’s death and funeral, his death was far from usual, but I suppose it did further emphasise the enigmatic nature of the character. He was a habitual adulterer, despite having a wife that adored him (his fourth wife), he still entertained lovers and dabbled in illicit substances, and definitely not acting as a man in his 60s. I had wondered if there were suspicious or sinister circumstances involved in his death, nothing was specifically mentioned but once you reach the final twist to the plot you might see why I thought this way. This is a cleverly written piece of fiction, Marwood builds suspense fantastically throughout, the claustrophobic nature of the story means you really don’t want to put it down, you need to find out what happened to Coco, you need to know who holds the darkest secret and see the desperate lengths they will go to to keep it hidden. I really enjoyed this book, and will definitely be looking for more books from Alex Marwood in the future. 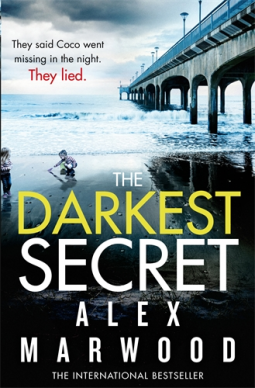 I would like to thank Little, Brown Book Group UK for the copy of this book in return for an honest review and if you would like to buy a copy, this book was published on 7th January 2016, a copy can be purchased here The Darkest Secret (UK Kindle Version).